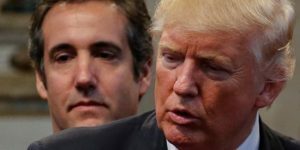 Now that Cohen has pleaded guilty to 8 separate felony charges, we have sworn testimonial evidence, as well as documentary corroboration (texts and emails, and possibly even recordings), that Donald Trump ordered Cohen to violate campaign finance laws to affect the outcome of his election. Specifically, Donald Trump now stands accused of having ordered pay-offs of 130k and 150k, respectively, to Stormy Daniels and Karen McDougal, with the purpose of affecting the outcome of the 2016 Presidential election. These are serious felony violations of campaign finance law that directly relate to the legitimacy of his Presidency and his fitness to hold the office. The President is now an un-indicted co-conspirator in two federal felony campaign finance violations, the purpose of which was to prevent the American people from having all relevant information to decide the Presidential election of 2016, in which he barely squeaked out an electoral college win by 77k votes over three states. If he were not President, he would be having an indictment read against him right now. This is much worse than anything Nixon did to get articles of impeachment drawn against him. But given the GOP holds the majority in Congress, the likelihood of impeachment remains quite low, despite the obvious corruption of the President and the felons surrounding him during and after the election. However, if Democrats take the majority in both the House and the Senate, (which seems possible, if not likely) the likelihood of impeachment does seem much stronger. The predictive political markets are reflecting this reality, predicting that impeachment is a low-order probability before the end of 2018, but the odds grow to almost 50/50 before the end of his first, and only, term. And Mueller hasn’t even dropped his final report on possible collusion between the Trump campaign and the Russians in attacking our 2016 election. That document will likely implicate Trump in yet further crimes committed in furtherance of his election to the Presidency, as well as a campaign of obstruction of justice over the past 21 months. It is looking increasingly unlikely that Trump will finish his first term without a major threat to his continued Presidency. That is as it should be. Trump is a crook sitting in the White House, and we are only seeing the tip of the iceberg of the many, many crimes he’s certainly committed while sliming his way into the Presidency. He should end his Presidency by being frog-marched off to prison for the rest of his life.